Where to start? What materials to get? What paper do I use? How to do it? These were just some of the questions I used to ask myself when I was starting my calligraphy journey. At first, it seemed so difficult not knowing what do but with practice, trial and error, and a big sack of patience, things started to flow smoothly. The online community has been generous enough to share their tools and knowledge and I think it's about time I do the same. 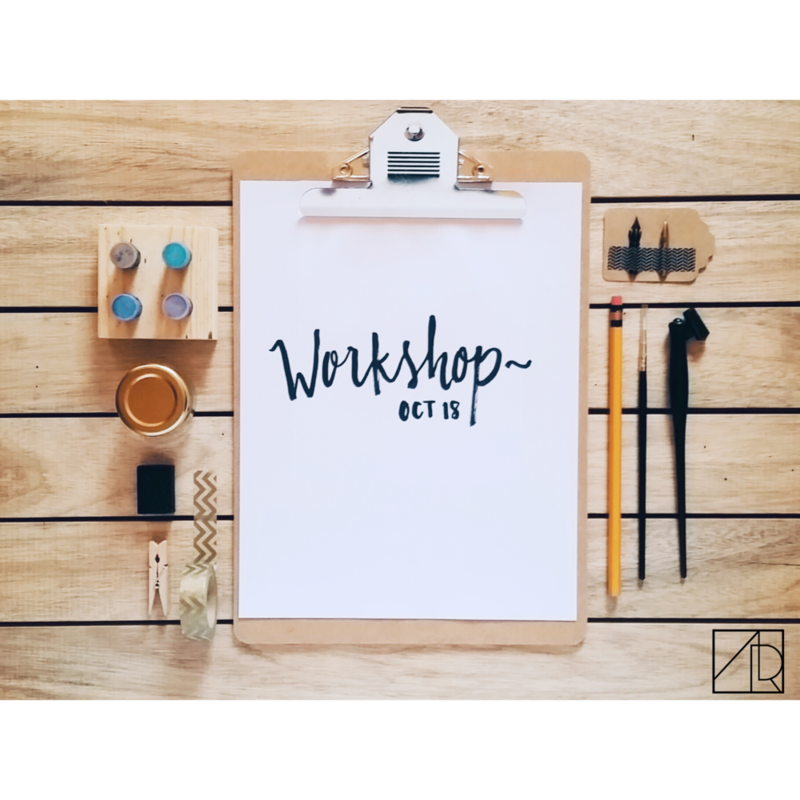 I'm doing my first workshop on Modern Calligraphy and Freehand Brush lettering this coming October 18 and it would be great if you can join! Calligraphy and lettering is a test of patience but if you're up for the challenge, then you should go for it! There's also an Ink filling station wherein you can fill your dinky dips with different colors of ink!